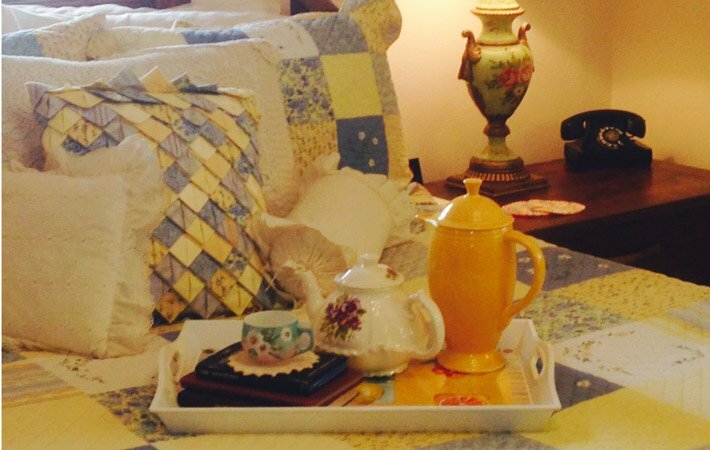 From the individual guest rooms of the large traditional Hill Country-style lodge to the quaint feel of a roomy private cabin, our Pipe Creek bed and breakfast will fit your needs. 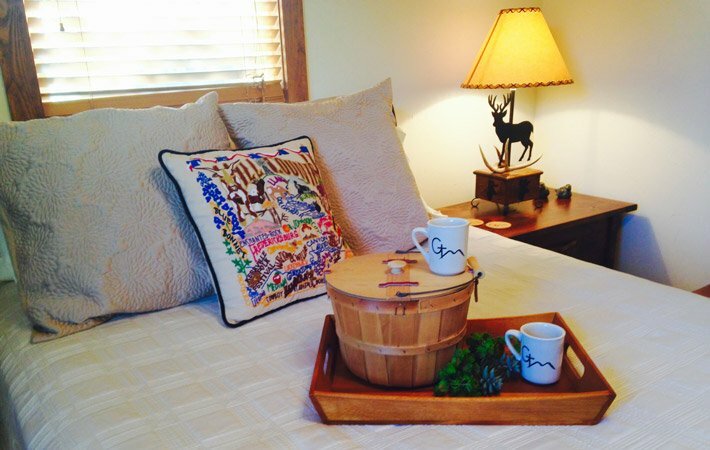 The Cricket House is a two-story lodge of over 4000 square feet with a traditional, up-to-date finish and style. The individual guest rooms are located downstairs each with pillow top queen size beds, carpet, tile and private bath with shower. The traveler will find large roomy closets with safes for your convenience. A refrigerator, Keurig coffee maker, ceiling fan and drawer space are found in each room to make your stay more personal and comfortable. 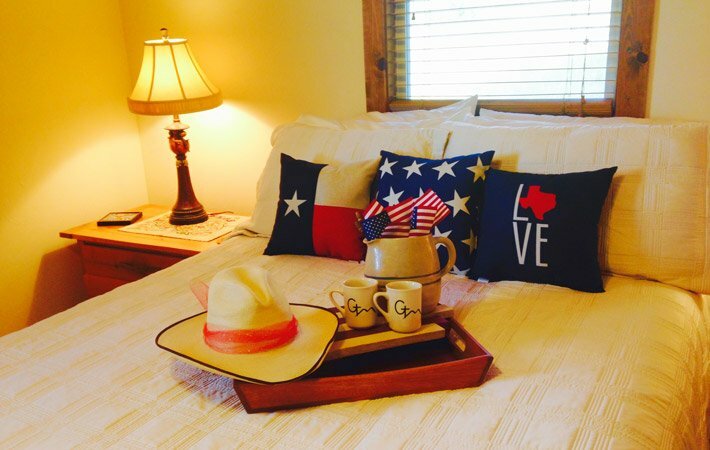 The guest can choose their room from four themes designed to tickle your fancy: Fishin’ Hole, Lone Star, Granny’s Attic and Hill Country. 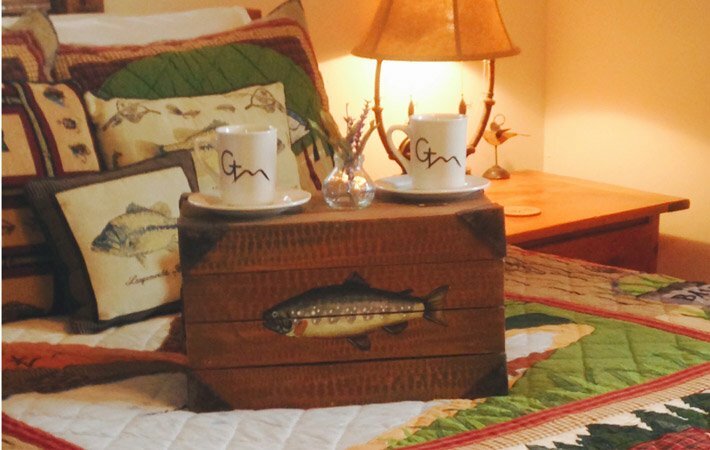 Each room has beautifully handcrafted wood furniture designed and built by a family woodsmith. In the central common area of our Hill Country bed and breakfast, wood floors and planked walls bring the warmth of the lodge to life. A centuries old wood burning stove will add to your pleasure on cold winter evenings. Antiques accent the seating areas fitted with leather reclining sofas, Southwestern lodge chairs and even a church pew. The billiard size pool table welcomes the pool enthusiasts and novices alike with plenty of room for spectators. Handcrafted in Idaho, the 15 foot long dining table beckons hungry guests. TV and VCR are in this central area with free Wi-Fi throughout the lodge. Stroll onto the roomy porch and grab a rocker as you watch the brilliant sunrise over the eastern hills. Catch glimpses of the white tail deer and exotic game from the large front windows of our San Antonio bed and breakfast as they gather at one of the feeders. Volumes of books await your perusal in the upstairs library with plenty of cozy nooks and large viewing windows. This is a prime area for an afternoon snooze. The upstairs multipurpose meeting space can be used for business or entertainment. Stroll on down the hill to the nearby fire pit for delectable s’mores and tall tales waiting to be told.